In a dramatic shift from the decades in which Russians dreamed of living in Moscow, today more white-collar workers see much to like in the Russian regions. Even during the 9:00 a.m. rush hour, it takes Muscovite Tatyana Gladysheva only five minutes to get to work. After hours, she goes for a stroll in the woods to get some fresh air. And this is even though Gladysheva’s apartment is right in the city center. It’s easy to explain Gladysheva’s convenient life: Although she is a Moscow native, she doesn’t live in the capital. In 2009, Gladysheva’s company, the Bolshevik Candy Factory, relocated from Moscow to the Vladimir Region, and she moved with it. 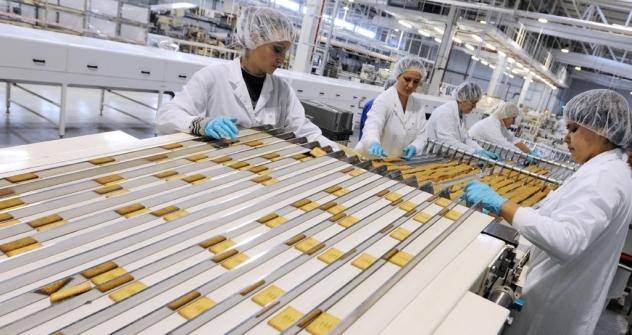 The entire candy factory made the move out of the capital: the company’s owners took not only the production units, but also all the managerial staff. With Gladysheva’s professional skills, she could have remained in Moscow and found work at another company, but she made the move for a new kind of life. Gladysheva is no exception among managerial employees from the capital. Human resources analysts say that a new trend is taking shape: the flow of office employees beyond the Moscow Beltway. The traditional golden rule of white-collar employment, “the closer to Moscow, the better,” is rapidly becoming obsolete. In 2006, according to surveys done by the recruiting portal Superjob.ru, only 15 percent of Muscovites would have been willing to move to a new city for a new job; but in May 2012, 24 percent of upper and middle management people wrote in their resumes that they would agree to move. This mobility at the level of supervisors is steadily growing each year. “Many companies are leaving Moscow to save on administrative costs, and the employees are forced to migrate along with the business,” said Natalya Grishakova, a department head at Malakut HR Research and Solutions. It goes without saying that managerial personnel are not moving without infrastructure in place. The relocation of companies from the capital to the regions is the context in which executives are migrating out of Moscow. The movement out of the capital is happening in several ways. First of all, there are businesses that themselves move and bring their employees with them. Then there are some Moscow-based companies that relocate some of their divisions outside the city, and have new vacancies. Third, there is the reassignment of Moscow-based executives to regional subsidiaries of to boost performance and do onsite employee training. The first category is best illustrated by the process of moving industrial enterprises out of Moscow, followed by their managerial staff. Nearly all major and medium-sized Moscow companies have relocated some divisions outside the capital. In Tver alone, with a population of just over 400,000, 14 call centers of Moscow-based companies have been opened, each of which can employ over 1,000 people. Executives are parachuted in from Moscow to set up the work process on site, but if the technologies involved are simple, as is the case at a call center, they are not needed for very long. Within a few months, local residents are answering the phone, keeping the books, and programming just as well as the trainers who were brought in. It’s altogether another matter when the task is to organize a complex production process on site from scratch. This kind of relocation to the regions requires that a company not only transfer its offices, but send Moscow-based managers to work for periods of time in the new place. Statistics from employment agencies indicate that the number of people prepared to work for extended periods in a regional location is also increasing rapidly. The relocation of companies from the capital to the regions also makes the regions more attractive. Tatyana Gladysheva recalls that when she arrived in Sobinka in 2009, there were almost no foreign-made cars on the streets or children on the playgrounds. There’s another trump card that enhances the attractiveness of the Moscow suburbs: easier housing solutions. For more and more Russians, living outside of Moscow seems like an idea whose time has come. The more difficult the infrastructure and social services situation becomes in the capital, the more advantageous life in the regions appears. Pyotr R. has been working for several years in the Moscow office of Sibur-Neftekhim. He grew up and went to school in Moscow, but now he is seriously thinking about transferring to a regional division of his company. However, Pyotr is in no hurry to burn his bridges: he is signing only a two-year contract to work in Tobolsk, after which he might return to Moscow. Experts are certain that for major holding companies, investing in their own executives’ mobility will pay off in spades.